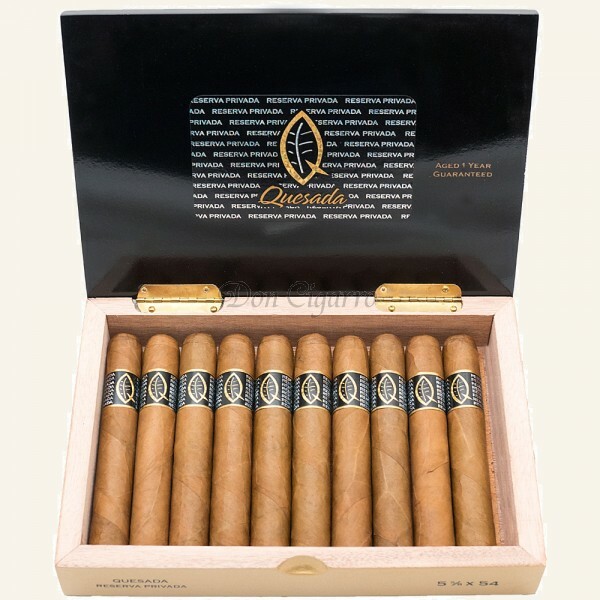 The Reserva Privada is the finest cigar ever to bear the name "Quesada". Much passion and effort was put into the high quality of this product. To carry the "Reserva Privada" label, up to 18-year-old tobacco was fermented for a full year before being packaged and shipped. The result is a superbly balanced, creamy-mild cigars with sweetish-floral notes that fully convinced.